Acer is at it again: the company recently unveiled the TravelMate X3 series of Windows 10 devices. The first laptop of the series is the TravelMate X349, and it comes with an aluminum chassis that weighs little over 3 pounds. The device also comes with a fingerprint scanner designed to allow users to unlock their PC quickly, especially because it houses an Intel 6th generation chipset within. We can’t say much about the speed because Acer did not reveal this, but expect it to be decent since all 6th generation processors have performed well so far. It boasts 10-hours of battery life that powers a a 14-inch full HD display, up to 512GB SSD and 8GB DD4 RAM. Acer also decided to add a USB Type-C port that will work with the company’s USB Type-C dock. Trusted Platform Module (TPM) 2.0 chip for hardware-based protection for passwords and encryption keys. Thos interested can expect the TravelMate X349 to be available in North America this October, starting at $649.99. As for Europe and the Middle East, Acer is aiming for a September launch. 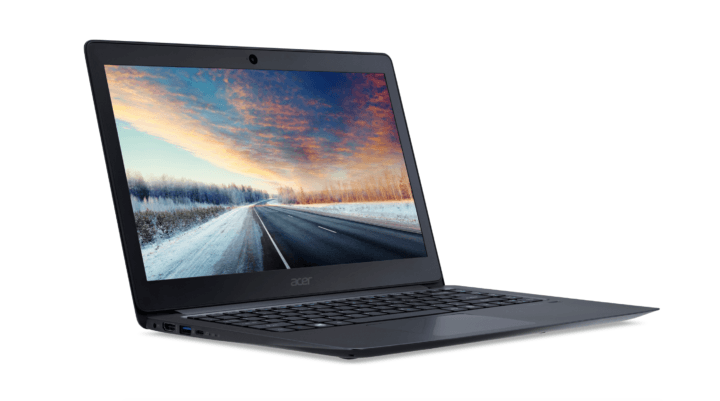 With the coming launch of these interesting devices, Acer can slowly move away from a recent security breach blunder that compromised several US credit card numbers. The company is also working on its very own virtual reality headset, so that should help one way or the other.